Craig Walace as Ebenezer Scrooge. Photo by Scott Suchman. “A Christmas Carol” at Ford’s Theatre is one of the best retellings of Charles Dickens’ classic tale of charity and generosity. Michael Wilson’s adaptation is equal parts spooky and cheery. The production was directed by Michael Wilson and it truly was magical. Lee Savage designed the set and it was immaculate. There were levels and excellent details that brought the set to life. The imposing skyline of London and the large clock center stage consistently refocused the urgency of the story. Alejo Vietti’s costumes were truly breathtaking. Lighting Designer Rui Rita did an amazing job of showing the audience the varied locations throughout the story. 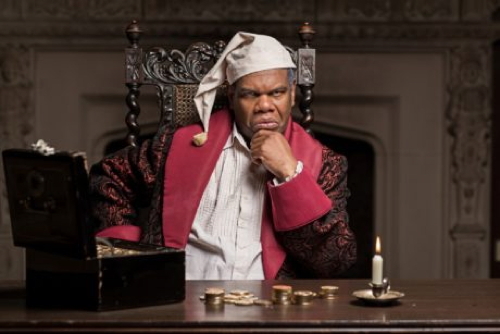 Craig Wallace does masterful work as Ebenezer Scrooge. His performance shows us the journey that Scrooge goes through. Wallace allows us to see the miserly old man process his emotions and struggle with his decisions. It was a refreshing change from so many performances of this pivotal role. Wallace is an amazing actor whose transition is so extreme and powerful. By the end, the audience can’t help but smile. There was a remarkable group of children that made up the young cast. These kids were adorable, naturally, but also super talented. Each one did quite a bit of acting and singing. They all had a moment to shine in their own way. The children were integrated into almost every single scene and it was nice to not seen them shoehorned in. The ghosts were all very creepy in their own ways. James Konicek appeared as the Ghost of Jacob Marley. He portrayed the tortured old ghost in a way that made him strong and commanding. Felicia Curry appeared as the Ghosts of Christmas Past and Future. 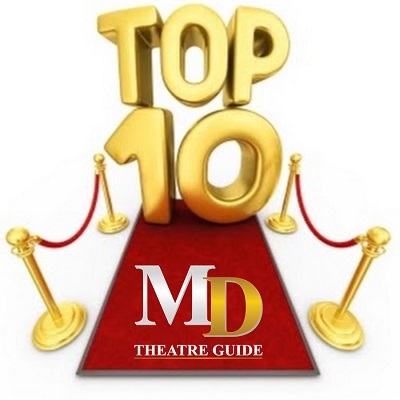 Her physical prowess and diverse acting ability allowed her to own the stage. Ghost of Christmas Present was played by Barbara Pinolini who was incredible. Her performance was just as hearty and strong as one would expect from the Ghost of Christmas Present. She also easily portrayed the darker side of this jolly spirit. It was truly a beautiful production of a timeless story that will get anyone in the holiday spirit. I laughed, cried, and left the theater feeling lighter and more inspired. “A Christmas Carol” runs at Ford’s Theatre through December 31. For tickets or more information click here.